A&J Joins DKI – What does this mean for you? 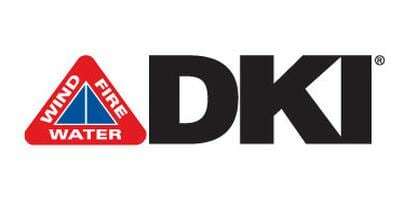 (Wood Dale, IL, September 23, 2013) – DKI, North America’s largest disaster restoration contracting organization, today announced that A&J Specialty Services, Inc. of Deforest, WI has joined the network. By virtue of its DKI Franchise, A&J Specialty Services, Inc. can employ DKI’s 24-hour call center, its DIAMOND claims tracking technology and other tools to enhance its ability to serve its insurance and corporate customers. A&J Specialty Services, Inc. also gains access to training seminars and workshops, which ensure that it remains abreast of all changes in this rapidly evolving industry. A&J Specialty Services, Inc. President, Kent Rawhouser, is pleased that the company is a part of the network, giving them the opportunity to work in partnership with other quality firms. The network will allow A&J Specialty Services, Inc. to expand their scope of service, introduce them to new markets and ensure the company’s success long into the future. In addition to the benefits of DKI’s technology and training capabilities, A&J Specialty Services, Inc. will also be able to utilize the branding in its marketing efforts, participate in its various co-op programs, and leverage corporate marketing efforts. DKI, headquartered in Chicago, is the largest disaster restoration contracting organization in North America. DKI franchise companies provide full service restoration to their customers: emergency response, water damage mitigation, fire and contents cleaning, mold remediation, complete reconstruction and much more, 24 hours a day, 365 days a year. DKI returns damaged property to its pre-loss condition quickly and efficiently, delivering complete satisfaction to our consumer, insurance, and corporate customers.